Paleo reconstructions and model simulations have suggested the Bering Strait plays a pivotal role in climate change. However, the contribution of the Bering Strait throughflow to oceanic meridional heat transport (OMHT) is about 100 times smaller than the OMHT at low latitudes in the modern climate and it is generally ignored. 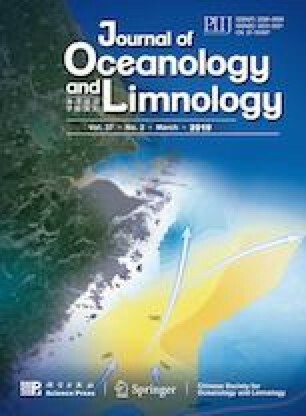 Based on model simulations under modern and Last Glacial Maximum (LGM, ~21 ka; ka=thousand years ago) climate conditions, this study highlights the importance of the Bering Strait throughflow to OMHT. The interbasin OMHT induced by the Bering Strait throughflow is estimated by interbasin-intrabasin decomposition. Similar to barotropic-baroclinic-horizontal decomposition, we assume the nonzero net mass transport induced by interbasin throughflows is uniform across the entire section, and the interbasin term is separated to force zero net mass transport for the intrabasin term. Based on interbasinintrabasin decomposition, the contribution of the Bering Strait throughflow is determined as ~0.02 PW (1 PW=10 15 W) under the modern climate, and zero under the LGM climate because the closed Bering Strait blocked interbasin throughflows. The contribution of the Bering Strait throughflow to OMHT is rather small, consistent with previous studies. However, comparisons of OMHT under modern and LGM climate conditions indicate the mean absolute changes are typically 0.05 and 0.20 PW in the North Atlantic and North Pacific, respectively. Thus, the contribution of the Bering Strait throughflow should not be ignored when comparing OMHT under different climate conditions. We thank the Earth System Grid Federation and the MARGO group for sharing their data with the public. We thank YANG Haijun, LI Qing, and WANG Kun from Beijing University for their help with thecalculations of heat transport. We also thank two anonymous reviewers, LI Ziguang, GUO Yongqing, and ZHANG Cong for their valuable advice. We also thank Liwen Bianji, Edanz Group China (www. liwenbianji.cn), for editing the English text of a draft of this manuscript.